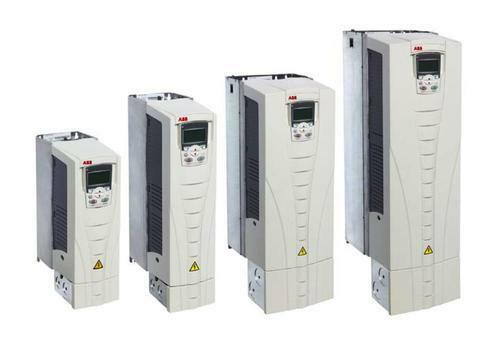 We have for our client’s quality range of AC Frequency Drive that ensures reliable and accurate load handling. Operating on real current vector control technology, it efficiently generates strong torque at a low speed. It has a built-in PID controller with sleep, wake up functions to maintain a constant pressure, flow and oil level. It has gained wide appreciation for automatically keeping the output voltage stable, even when the input voltage fluctuates. With an industrial experience of 14 years, we have emerged as undisputed leaders of Solid State Relays, Melt Pressure Transducers, Melt Pressure Controllers, etc. Renowned for operational fluency, negligible maintenance, and longer service life, our range finds wide application in Plastic, Pet, Packaging, Printing, Sugar and Engineering Industries. With the assistance of advanced testing facilities like calibrator, multi-meter, and vernier, we are able to offer range in line with international standards. The systematic and streamlined methodology allows us to cater to the client requirement in best possible manner. Our adherence to ethical business practices in our business activity enables us to be one of the trusted partners of our esteem clients based in India, U.K, Nigeria, and Nepal. TATA Auto, Gillette India Ltd, Pepsi Co, LG, and Samsung is few of the reputed patrons we have been serving ever since our inception.